Mount Michael Benedictine School is a Catholic, college-preparatory residential & day high school. 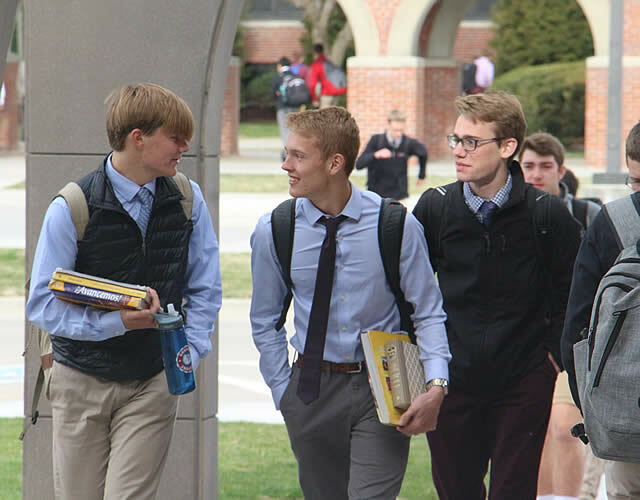 At Mount Michael the core of the academic program enables students to become inquiring learners, appreciative of their heritage, responsive and committed to the challenges of the future. At Mount Michael the monks, lay faculty, and staff instill the value of moral leadership so that they may live in harmony with each other, their families, and the community at large. At Mount Michael the search for God is fundamental to understanding the meaning of life; Christian charity is grounded in our relationships with ourselves,our families, and all whom we meet. As gifts of God, individual talents are to be developed fully and shared generously.